Seasoned musician Jackson Maine discovers -- and falls in love with -- struggling artist Ally. She has just about given up on her dream to make it big as a singer -- until Jack coaxes her into the spotlight. But even as Ally's career takes off, the personal side of their relationship is breaking down, as Jack fights an ongoing battle with his own internal demons. With a Tomatometer Score of 89 percent and an Audience Score of 80 percent on Rotten Tomatoes, "A Star Is Born" has racked up generally positive reviews since its release in October. San Jose Mercury News' Randy Myers said, "Somehow, though, the bloat is almost appropriate in a story about excesses, and the devastating pitfalls of fame. 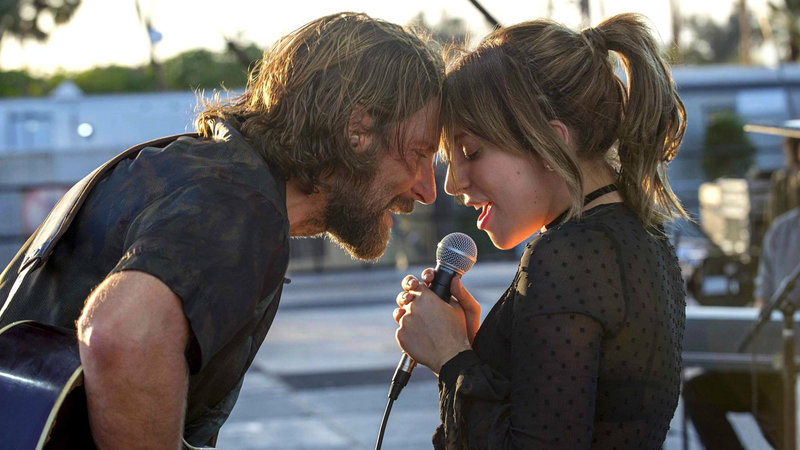 'A Star is Born' portrays both poignantly, movingly, well," and the New Yorker's Richard Brody said, "What Cooper persuasively depicts is the fear factor of stardom -- the sense of vulnerability, of a position that's both powerful and fragile." For a long time, Natalie, an Australian architect living in New York City, had always believed that what she had seen in rom-coms is all fantasy. But after thwarting a mugger at a subway station only to be knocked out while fleeing, Natalie wakes up and discovers that her life has suddenly become her worst nightmare -- a romantic comedy -- and she is the leading lady.